Our Intro to Climbing class will help you learn the basic skills you need to climb on a rope. You will learn the climbing basics: grading systems, beginning technique, how to fit a harness properly, how to tie in, and how to belay. To learn how to belay, you will need a partner, so it may be a fun experience to share with a friend or family member. Our instruction will provide you with the skills and knowledge needed to pass a belay test, after which you will be free to climb for as long as you’d like. This course consists of two 3-hour sessions on Wednesdays from 6-9pm over a two week period. Lead climbing topics include risk awareness, use of equipment, clipping technique, belay technique, avoiding common mistakes, outdoors vs. indoors, and Leave No Trace principles. Free climbing for the remainder of the day. *If you cannot make that particular time, send us an e-mail at Portland@evorock.com and we will find an instructor available for the times that can suit your schedule. Ready to adopt a climbing regiment targeting serious performance improvement? Come to our 10-week Adult Training training sessions. Our training is tailored to your specific needs and goals, allowing you to engage in personal evolution. We start right as the gym closes to the public- no more waiting in lines to try your project! Ready to adopt a climbing regiment targeting serious performance improvement? Come to our 5-week summer sessions of Adult Training. Our training is tailored to your specific needs and goals, allowing you to engage in personal evolution. Calling all lady crushers! Every Wednesday night from 5-10pm, women climb for a discounted day pass and rental price! We also offer a free Intro to Climbing belay class to get you started with the purchase of your day pass. Whether it’s your first time climbing or you’re a seasoned pro – Women Crush Wednesday is a great way to learn and build community in a fun and inclusive environment. Rockin’ Ladies is an inclusive course for women that focuses on personal evolution, movement and technique. This class is offered every Wednesday for women of all climbing abilities, whether you’re a beginner or advanced, and is designed to work with you wherever you’re at in your climbing journey. *Belay certification is a prerequisite for this course, we offer a free Intro to Climbing belay class for women prior to Rockin’ Ladies on Wednesday nights with the purchase of a WCW day pass. This women-specific bouldering clinic is designed to help improve skills necessary for growing as a boulderer, such as footwork, dynamic movement, and technique. This clinic is offered every Wednesday for women of all climbing abilities, no prior bouldering experience needed. For people who started climbing in a gym but are interested in learning the skills and etiquette required to climb outside, the transition can feel slow, treacherous, and difficult to navigate. We help climbers make that transition through a series of hands-on clinics in our facility, known as the Gym-to-Crag Program. 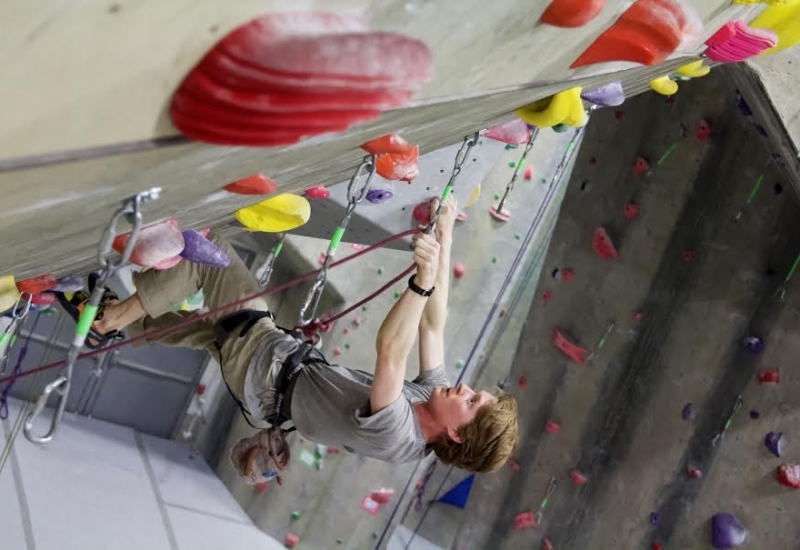 Clinics are $20 per session and are taught by an AMGA certified, professional climbing guide. *Day pass not included in the cost of the class. There is no better way to improve one’s climbing ability than working one-on-one with an experienced climbing coach. Whether you want just to come in for a single session performance diagnosis, or would like to enroll in one of our many topic-specialized sessions, we have offerings that best fit your needs. Contact Chris Pert for more information.